The Great Southern Stamp Sale: Oh, what treats we have in store! 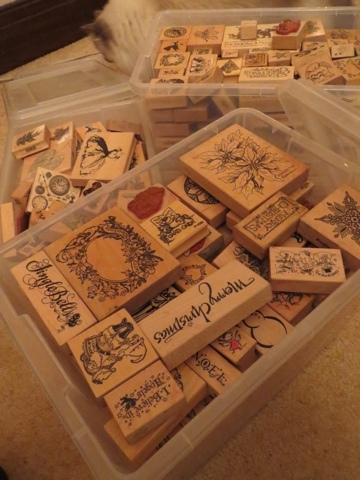 Well, I visited Ellen and her stamp collection, as we prepared for the great stamp sale. Wow, the collection is pretty cool! This photo shows just a few of the boxes. Yeah, that's a big, deep box. It's mostly Christmas stuff. There's more. I'll be posting more pictures as we go along. And for anyone who's an old friend or fan of Ellen's, she's happily working in geology these days. Like so many stampers, she's good at most things.